In buyout transactions we acquire a majority stake in the business. Our goal is to facilitate the company’s seamless transition to the next stage of development. Partnering with management teams and other shareholders, we help companies formulate strategy, conceptualize and implement optimal financing structures, and recruit high-caliber executives. Enterprise Investors has completed buyout transactions in AVG Technologies, Kruk and Scitec Nutrition, among others. When Polish Enterprise Fund V invested in AVG Technologies (then Grisoft) in 2005, the Czech company was well known for its anti-virus software. It had around 25 million users but needed to expand globally, add new products and enter new service areas. We supported the company’s development by strengthening the management team and enlisting talented executives with global experience. We helped identify and acquire companies in order to build new services and expertise; we also advocated expansion of the product range beyond the original anti-virus software. All this accelerated growth. As a result, AVG saw a 7.5 times increase in the number of active users, and transformed itself from regional player into a global industry leader. During the investment period we helped create a strong corporate structure and build a solid financial track record. This facilitated the company’s listing on the New York Stock Exchange and the raising of USD 64 million in new capital in 2012. AVG Technologies became a leading provider of software and online services for the consumer and small business markets, with solutions that range from desktop, laptop and mobile security software to dynamic secure internet search tools. During EI’s investment the market capitalization of the company increased nearly 12 times to USD 919 million. Enterprise Investors fully exited AVG Technologies in August 2014. We provide companies with expansion capital for financing an increase in production capacity, developing a new product range or acquiring a competitor. We also support management teams with cross-sector expertise and when making key business decisions. Moreover, we help companies formulate strategy, conceptualize and implement optimal financing structures and recruit talented executives. Our funds have provided financing for the expansion of several dozen companies from Poland and CEE, including Dino, PBKM, CBA Slovakia and Nu-Med Grupa. One of our primary reasons for investing in Dino was its focus on the attractive proximity supermarket format. Dino’s stores located are located close to the end customers (mainly in small towns or on the outskirts of major cities), have 300–400 square meters of selling space and parking lots for 10–30 cars. Thanks to Enterprise Investors’ backing, Dino expanded rapidly from 97 stores in 2010 to 628 at the end of 2016, and has become one of the fastest-growing supermarket chains in Poland. The supply chain and back-office functions have kept up with the growth of the network thanks to investment in two distribution centers and the introduction of advanced IT solutions. The company’s growth has generated new jobs, with employment at Dino increasing since 2010 nearly eightfold to 11,600 in April 2017. Dino’s founder, who established the company in 2000, was the majority shareholder throughout our investment and after our exit. In April 2017 we sold our entire stake in a successful IPO on the Warsaw Stock Exchange in what proved to be the largest private equity-backed IPO in the CEE region and one of the largest flotations of a private company in Poland. Financial leverage enables investors to generate higher returns on their investment and at the same time to offer a higher valuation to the entrepreneurs who are selling their business. Therefore, in addition to engaging our own funds in companies, we also secure bank financing. Our buyouts supported by bank debt, so-called leveraged buyouts or LBOs, have included the takeovers of Danwood and two retail chains, Studenac and Intersport ISI. Danwood produces energy-efficient houses from prefabricated elements using modern technology that is popular in Germany and Scandinavia. The company’s headquarters, production plant, and design and research department are located in eastern Poland. Danwood sells most of its output to Germany and other German-speaking countries, as well as to the UK and Poland. The company controls all key areas of the value chain, from design through production and sale of prefabricated elements, construction and finishing. We invested in Danwood because we were convinced that the energy-efficient housing market would grow rapidly. What drew our attention was the high quality of the product, Danwood’s efficient and dedicated management team, and the company’s leading position in Germany. In 2013 we acquired 100% of the business from Budimex Group as a carve-out transaction of a non-core asset. Danwood’s sound foundations and healthy cash flow allowed us to optimize the financing structure by leveraging the transaction. Today, Danwood’s energy-efficient houses are conquering new markets in Europe. Thanks to its excellent financial condition the company can look for potential add-on acquisitions which will continue to boost that growth. When acquiring a controlling stake in a company we cooperate closely with its management team. As a result the team, and therefore the company’s shareholders, help shape strategy and operational plans. What matters most in this type of transaction is management’s commitment to meeting both the immediate and the long-term strategic goals. Enterprise Investors has conducted management buyouts in Skarbiec Holding and Jantoń. 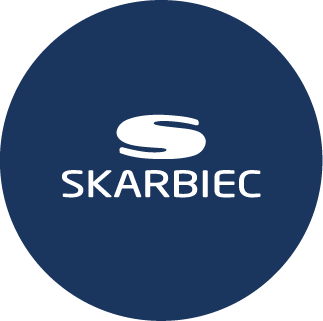 Skarbiec Holding is one of the oldest asset management companies in Poland. The company has secured a significant part of Poland’s highly competitive investment funds market. In 2007 PEF V bought 100% of the shares of Skarbiec, completing the first takeover of an asset management company by a private equity fund in Central and Eastern Europe. Soon after the transaction we sold a 7% stake in Skarbiec to a group of 12 key managers, for whom we set up a management options scheme. The managers of Skarbiec invested alongside us to purchase shares in their company, thus demonstrating their confidence in its continuing growth. For us as investors, this is an additional investment incentive. Our decision to invest in Skarbiec was based on several factors. The experience and competence of the management team were fundamental, as was the favorable macroeconomic outlook that facilitated the rapid growth of mutual funds. These, together with our financial sector expertise, helped raise the value of Skarbiec. EUR 117.3 million, yielding a 3.1x total gross multiple of cost. In 2017 we sold our remaining shares in Skarbiec. Often an IPO may not be the best option for relatively young businesses or those lacking the financial track record or reputation needed to attract the general investing public. Enterprise Investors can support such early-stage growth companies. A private placement preceding a flotation can be designed to meet the company’s specific needs by providing know-how and securing implementation of best practice, thereby accelerating growth. Additionally, the presence of an experienced and patient shareholder helps consolidate the investor base. Our investment in Zelmer was a classic pre-IPO transaction. Zelmer is Poland’s oldest and largest manufacturer of small domestic appliances (SDA). Enterprise Investors bought a large minority stake in the business in 2005 through an IPO during Zelmer’s privatization, and immediately began transforming it from a state-owned manufacturer into a world-class company and the second largest SDA group in Central and Eastern Europe. During the investment, Enterprise Investors brought in new management, introduced new products in the mid and low price ranges and helped the company enter new markets, including Russia and Ukraine. Sales doubled during EI’s investment period, while the drive to improve profitability involved focusing on the region’s largest markets and on products with the highest growth potential, as well as on constructing a state-of-the-art manufacturing plant in Rzeszów. Enterprise Investors sold its stake to Bosch und Siemens Hausgeräte, the largest player in the European SDA market, in 2012.